An elderly man and woman who were busted in Nebraska with a trunk full of marijuana “Christmas presents” have been identified as the parents of a top Vermont prosecutor, the Burlington Free Press reported. 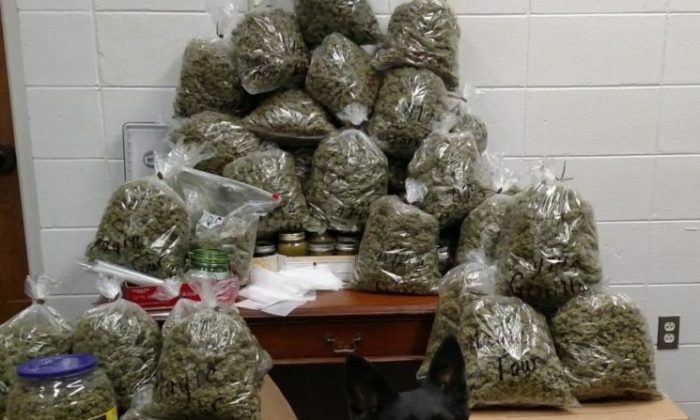 Patrick Jiron, 83, and his wife, Barbara, 70, of Clearlake Oaks, California, were arrested on Dec. 19 with 60 pounds of assorted marijuana goods with a street value of over $300,000 police say. The pair told police that they were driving cross-country to deliver the pot as gifts for relatives and friends in Vermont and Boston. Burlington Free Press later linked the couple to Chittenden County Chief Deputy State’s Attorney Justin Jiron, who the paper says is their son. Justin Jiron’s boss told the paper that there is no connection between the Nebraska bust and her employee. As a prosecutor, Jiron worked on a number of high-profile cases in Vermont. He prosecuted the man who abducted and raped a college senior and another man who killed two people in a shooting spree in Essex. The prosecutor’s parents were charged with possession of marijuana with intent to deliver and no drug tax stamp. The couple was pulled over after they crossed a center line on a road without signaling. The deputies who approached the couple’s Toyota Tacoma smelled a pungent marijuana odor, NPR reported. Patrick Jiron was placed in York County Jail, while Barbara’s processing was delayed due to a medical issue, Fox News reported.